You are here: Home / copywriting / How Tasty Are Your Chips and Salsa? One of the great things about going out for Mexican food is getting that free chips and salsa. Of course, it isn’t really free. The cost gets folded into the price you pay for your carnitas tacos or the killer chicken enchiladas. But it feels like a great free gift, which is part of what makes it so enjoyable. Good content marketing uses free content in the same way. Really great free content whets the appetite and it shows off your talent at creating something tasty. Whatever your regular “main course” product is, a nice appetizer of chips and salsa can strengthen your relationships and boost your business. Have you ever been ravenously hungry, but you didn’t quite realize it until you put the first bite into your mouth? When you start out with some chips and salsa, you get your tastebuds in the mood for a great dinner. You get started down a path and realize you want to keep going. A few bites of something really yummy leave you primed to enjoy the full meal that’s to come. In the same way, free content like email newsletters, blogs and autoresponder content are tasty appetizers that make your prospects hungry for something more substantial. They create an enjoyable early experience of consuming your stuff, and set up the right conditions for a great, enduring relationship. Salsa isn’t actually very hard to make. You chop up some decent ingredients, put them together in the right ratios, and there you have it, delicious salsa. But customers don’t know that. The assumption is that if the free salsa is out of this world, the paid main course will be even better. Free salsa is a relatively inexpensive, low-work way to make a great impression on the customer and sell her on the exceptional quality of the main course. To make free content work, be smart about it. Use the salsa model: create a PDF, an autoresponder, or another vehicle that doesn’t cost too much money or work to send out. Save free consultations, physical samples and other more expensive or labor-intensive freebies for later-stage prospects. 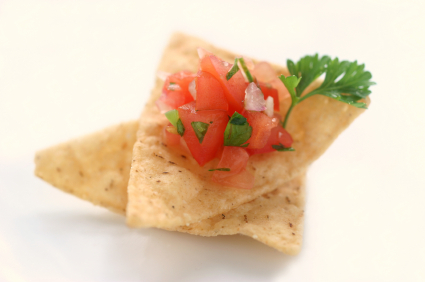 Salsa-and-chips content should, like their namesake, be zesty and not too filling. You want to tease the appetite, not satiate it. Which leads us to . . . If you fill up on chips and salsa while you wait 40 minutes for the meal, what happens? Your needs have already been met. You aren’t hungry any more. You don’t devour your delicious dinner, your experience isn’t completely satisfying, and you’re not as likely to come back. If you have something to sell, try to make an offer quickly after you put the chips and salsa on the table. You can literally offer a paid product right on the page that thanks your reader for confirming her email subscription. Or you may want to put an offer in your first message, along with that valuable chips-and-salsa content that’s got your reader’s appetite going. If you deliver nothing but free chips and salsa for months on end, you run the risk of training your customers to expect that everything you offer will be free. Those customers can still build your business—a cheapskate who raves about you all over town is well worth cultivating—but obviously it’s better business to get as many customers as possible paying their way. I have not one but two free and tasty e-classes, delivered fresh and delicious straight to your email box. Sign up today! And if you like this post, please share it with your friends by linking to or Stumbling it! I have received both of your free courses and I think they are great: expertly written, yet totally accessible. Everything is focused and on-point. 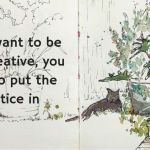 This is excellent and straightforward marketing advice, presented in a cute manner. Unfortunatly I am reading it too close to lunch! I am signing up for your e-classes right now! Then I’m going to go eat! I love this analogy it was spot-on! I of course signed up for both e-classes. Extremely practical advice. My salsa brings all the boys to the yard……. Every time I come here I find great building blocks for my career. Thanks Sonia. And Connie, remember that you can keep perfecting it as time goes on. So you can roll out with something pretty damned good, then keep making it better and better. “Don’t Wait Too Long to Serve the Meal” is a great tip. I once had a newsletter list of 1200 … but they were all freebie seekers, because I never tried to sell them anything until it was too late. Yummy. Craving chips and salsa. What a great point about timing the meal. Your e-classes are crunchy fresh and spiced just right. I loved ’em. Seriously good actionable advice. Oh, boy, have I been guilty of this. In an attempt to cultivate first, then convert, I think I’ve missed some opportunities. Great advice, Sonia! The cool thing, Judy, is you just start wherever you are. Having lots of happy fans you’ve been cultivating is still a great thing! This is a very interesting as I found this to be true with Relo Leads. I have a team of agents and we used to email or send Relo leads too much information regarding Boulder Colorado and guess what, they had no need to talk to us because we saturated them with too much information. We tested the system with some colleagues and the feedback we received was stop giving so much information. This is a great article and applies to many facets of real estate lead capture. Ro Troias last blog post..Photosynth. Is It The Newest Trend In Real Estate? Nice, tasty extended metaphor. Makes sense that you’ve gotta keep the salsa & chips mission in mind. You’re not in business to just give away salsa. Sigh…I’m still at the point that I feel I give too much information away. There’s a delicate balance between building trust with a new audience and giving too much information. Any suggestions for discerning that boundary? Love your blog, Sonia! Thanks for your daily lessons! It’s important to know your process Andrea (although I’m not suggesting you don’t…). From the first contact with a potential client to the signing of a contract each step must be familiar to you and if we continue the restaurant analogy that Sonia has going here everything counts and everything is selling. Even before you get the salsa. The tables must be clean, the atmosphere must be coherent to correspond to what the clientele who have made a step inside the door is waiting for (if it’s Mexican then having the Pekin Opera playing in the background might seem a tad kooky), the first contact is warm and inviting, the chairs are comfortable, the menus are clean, and again coherent etc. etc. There is no such thing as too much information but there is such a thing as making a part of the process incoherent, like allowing too much time for people to fill up on salsa. Each part of the process leads to the next. Timothy Cootes last blog post..Wants. A free crescendo and a paid climax … beautiful point. The best Mexican restaurants I know have the best free chips and salsa. Quality throughout the continuum. Orchestrated generosity that puts people into a good mood – ready to have fun and ready to BUY! Read this straight after the spam article. It’s mid-day and my tummy is rumbling! I like the analogy about the free salsa – will make some up right away.